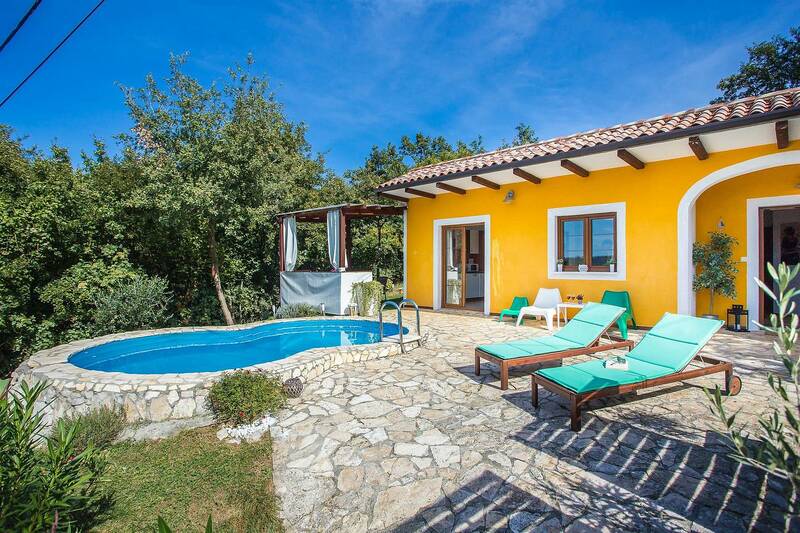 Casa Deborah is a nice groundfloor house located in small village of Ripenda Verbanci, 3.5 km from the center of Labin and 6.5 km from the beautiful pebble beaches in Rabac. Ripenda is small and very quiet village, with nice green surroundings. 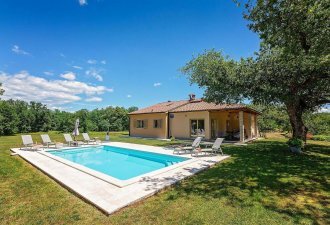 The house is situated on a partially fenced plot of 400 sqm, with an irregularly shaped outdoor pool, with sun loungers and parasols, covered terrace with table and chairs for 6 persons, portable barbecue, children's playground and private parking. The discreet homeowners live in the immediate vicinity and on their property there is also a trampoline and swings at guest's disposal. Holiday house of 70 sqm for 4 to 6 people, consists of an equipped kitchen with dining room, living room with sofa bed, a bedroom with double bed (160x200), a bedroom with two single beds (80x200) and a shower / WC.